Kyle has performed in bands throughout the area ranging from rock to jazz to country. He has an Associate of Arts degree from Hillsborough Community College with emphasis on Classical Guitar. While pursuing his Bachelor of Science in Jazz Studies from University of South Florida he teaches guitar lessons at Paragon Music in Tampa, FL. Kyle makes sure to smash at least one vintage Gibson Les Paul gold top guitar at each performance. Neal has always been a vocal impressionist and dabbles in stand-up comedy. He has been a singer for his entire life and started performing at age 7. Neal has since been in countless bands from High School to his time serving his country in the US Army. Since returning home Neal has been in Duo’s Trio’s and Bands around the Tampa Bay area such as Stroke of X , Blistered and Luna Blue. Neal’s extensive experience in the industry and vocal talent make him a unique part of Luna Blue setting them apart from “Just another Cover Band”. Neal’s influences range from Heavy Metal To Easy Listening, from Rap to Country and everything in between! Robi grew up in the Brandon area playing drums in the school marching band, stage, and concert bands. It was here he began perfecting his Neal Peart-like drumming precision. He has since performed with several cover bands and studio recording projects spanning the past 30 years. 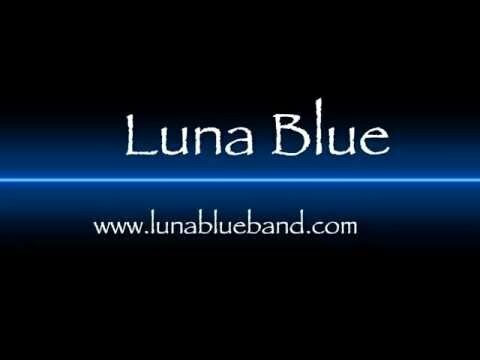 Robi began his tenure in Luna Blue in 2009 and has been keeping the beat ever since. Taylor is a native of Birmingham, Alabama. His music experience started with many years of piano lessons, but eventually expanded to guitar and bass, playing for his church and in local bands. He minored in music at the University of Alabama at Birmingham where he participated in the UAB Jazz Ensemble. In 2000 he joined the nationally signed artist Scarecrow and Tinman with whom he toured the U.S. and abroad for 2 yrs. Since then he has played with various independent artists including This Day On, Arc The Sun, Julianna Zobrist and Radio Reset as well as playing regularly for Relevant Church in Ybor City. He is known for his onstage energy and playing versatility. You can follow his blog at iGotYourBass.com as well as his youtube channel youtube.com/igotyourbass.